Cooperative tests are an alternative to individual tests. I tried one of these strategies in one of my classes. I found that there are several advantages to using cooperative tests as an evaluation strategy. I also describe some of the challenges that I found implementing a cooperative test. In particular, teachers must think about the incentives they are creating through such tests. Their use and the strategies applied will depend on the types of students and class. Students generally take written exams individually, either through continuous assessment or on final exams. An alternative to individual written tests are group tests: instead of working alone on an exam, students cooperate with other students. There are many different ways of creating group tests, also called cooperative or collaborative tests. The main advantage of this type of evaluation strategy is to create incentives for students to collaborate. Indeed, collaboration between students tends to improve learning (e.g. Bloom, 2009; Cortright et al., 2003; Gilley & Clarkston, 2014; Giuliodori, Lujan & DiCarlo, 2008; Muir & Tracy, 1999; Rao, Collins & DiCarlo, 2002). Students tend to learn more when they discuss concepts with peers. This positive impact is especially true for students who have a lower academic level. These students have a tendency to isolate themselves, so creating incentives to collaborate with other students can help them get out of their isolation and improve their learning. Some research further suggests that collaborative tests could reduce students’ level of test-taking stress (e.g. Ioannou & Artino Jr, 2010). Furthermore, current evaluation methods tend to encourage individualist values of competitive learning. Cooperative tests, however, value collaboration between students. Students become incentivized to exhibit solidarity, with the common objective of succeeding together. Cooperative tests therefore develop an important competence for students’ future careers. I wanted to test one method of collaborative testing in a course on mathematics for economics for first year undergraduate students at Sciences Po. the grade on the final test (the program of the final test included all the concepts that had been covered during the semester) was collaborative: students answered questions on their own, but their grade was an average of the grades received by all the students in their group. Students knew since the beginning of the semester that their grade on the final test would depend on the performance of other students in their group. They therefore had incentives to work together during the semester, so that everyone would perform well on the final test. Overall, the experience went pretty well. Students played the game: they worked in groups to prepare for the exam. However, they did not necessarily work with students of their designated group. Some students worked with peers from other groups, for instance because they were friends or because they lived close by. Indeed, some students lived in the same student housing complex, and they tended to form groups with other students from the same complex. This has been a reminder for me that it is always necessary to take into account students’ environments when creating incentives to organize their work. But in the end, my objective was to make students learn in groups, and this goal was reached. Next time, I’ll survey the students to get a better sense of their study habits and check whether there might have been some students who nonetheless worked on their own. I did make one strategic mistake, which reduced incentives for collaboration. In the beginning of the semester, I had warned students that their final grade would be an average of their three best grades of the semester. Students already knew their grades when they took the final—collaborative—exam. For the top students who already had three good grades, incentives to help other students were not very high, since they knew they could eliminate this grade if it was their lowest grade. In the end, top students generally want to always have good grades, so they did play the game. But my strategy could have been more efficient if I had kept the final grade as a mandatory grade. Finally, this strategy works well if all students do collaborate, without any free-riders. The situation did not present itself in my class, but it could happen that lower performing students count on the better preforming ones to increase their average, without implementing the necessary efforts for the final exam. In this case, the top students could find the grading system to be unfair, and contest their grade. There are several ways of implementing collaborative tests. Professors who wish to try them must be careful to adopt a system that works well for their group of students, and think ahead of time about the incentives they are creating. Bloom, D. (2009). 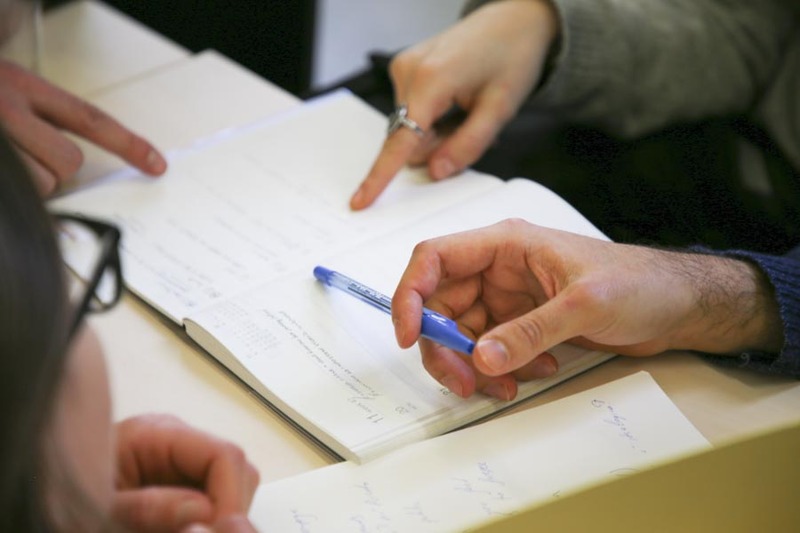 Collaborative test taking: benefits for learning and retention. College Teaching, 57(4), 216-220. Cortright, R. N., Collins, H. L., Rodenbaugh, D. W., & DiCarlo, S. E. (2003). Student retention of course content is improved by collaborative-group testing. Advances in Physiology Education, 27(3), 102-108. Gilley, B. H., & Clarkston, B. (2014). Collaborative testing: Evidence of learning in a controlled in-class study of undergraduate students. Journal of College Science Teaching, 43(3), 83-91. Giuliodori, M. J., Lujan, H. L., & DiCarlo, S. E. (2008). Collaborative group testing benefits high-and low-performing students. Advances in physiology education, 32(4), 274-278. Ioannou, A., & Artino Jr, A. R. (2010). Learn more, stress less: Exploring the benefits of collaborative assessment. College Student Journal, 44(1), 189-200. Muir, S. P., & Tracy, D. M. (1999). Collaborative essay testing: just try it!. College Teaching, 47(1), 33-35. Rao, S. P., Collins, H. L., & DiCarlo, S. E. (2002). Collaborative testing enhances student learning. Advances in physiology education, 26(1), 37-41.